The meeting between Syrian government officials and members of the Syrian Democratic Council (SDC) may pave the way for solving the Kurdish issue once and for all, and facilitate the reunification of the war-torn country under the banner of Damascus, political analyst Ghassan Kadi told Sputnik. 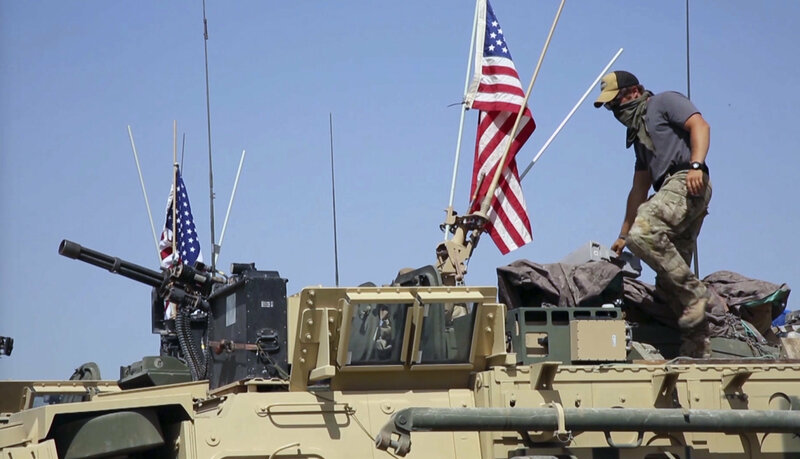 The potential alliance between the Assad government and the US-backed Kurds may send Turkish and US troops packing, Ghassan Kadi, a political analyst of Syrian origin, told Sputnik, stressing that the proposed arrangement is "an under-the-roof-of-Damascus deal has the potential to be a game changer." On July 26, senior members of the Syrian Democratic Council (SDC), the political wing of the US-backed Syrian Democratic Forces (SDF), announced that they had traveled to Damascus for the first time for talks with the government of Syrian President Bashar al-Assad. 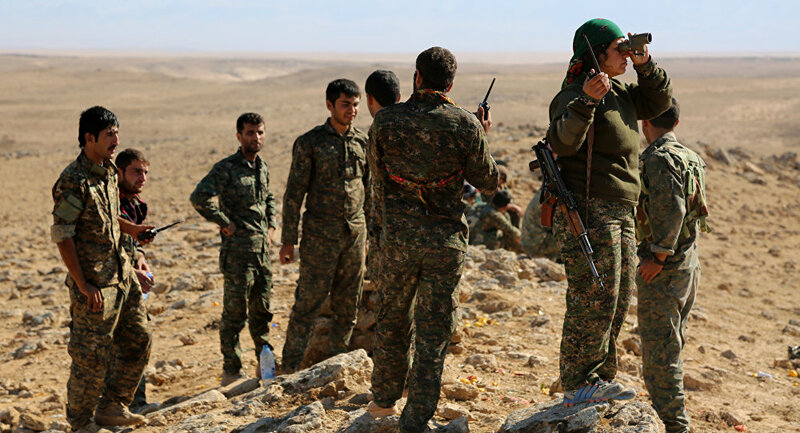 The Syrian Kurds have recently found themselves in dire straits amid a potential Turkish offensive and alleged US troops' withdrawal hanging over them like a sword of Damocles. 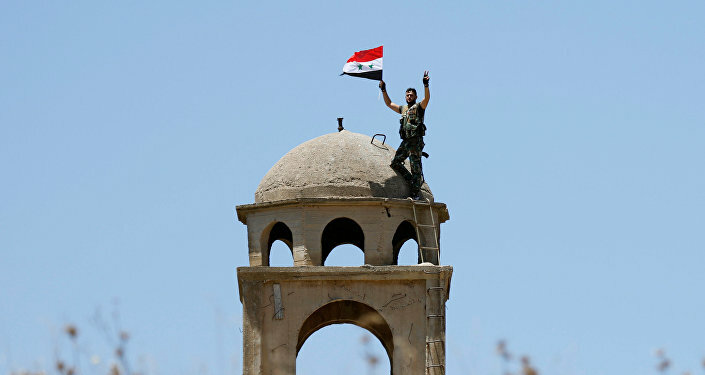 Additionally, in late May, President Assad made it clear that he is determined to regain full control over Syria. Having said that he would prefer to hold talks with the SDF over the Kurdish-controlled northern Syrian territories, he added that Damascus would "resort to liberating these areas by force" if the US-backed Kurds reject his offer. Kadi underscored that it is not the first time Damascus has offered the Syrian Kurds the opportunity to negotiate their demands. "Syrian Foreign Minister Walid Mouallem said back in September 2017 that Syria was prepared to negotiate some form of autonomy with Syrian Kurds. The move did not draw much media attention back then, but it was a pivotal point," the political analyst presumed. According to Kadi, one should not forget "one basic founding principle here: Syrian Kurds are Syrians." "If some of them have been led astray by American promises just like some of their Iraqi cousins in the past, if some of them have promised themselves independence, statehood, wealth and prestige, the facts remain that Turkey and the US, despite their emerging differences, are united in being enemies of Syria," the analyst said. Assessing the result of the talks with the representatives of the Syrian government, the SDC said that Damascus agreed to "chart a roadmap to a democratic and decentralized Syria." The Assad government has not confirmed the claim yet. For his part, Kadi cast doubt on the possibility of the future Syrian "partition" or "federalizing." "It would be unfathomable to think that the Syrian Government would approve any partition or Kurdish independence, or even federation. Some form of cultural autonomy, not political, not military or economic, under the unified roof of Damascus is something more realistic, as I have personally always predicted," he said. Following the summit, the SDC called upon all parties under its umbrella to join the talks with the Assad government "so that it is more effective and influential in putting an end to violence and war," Rudaw reported on July 30. Meanwhile, Omar Ose, a Syrian Kurdish MP and head of the Damascus-based Syrian Kurds' National Initiative (SKNI), urged the Kurds to jump at the opportunity to mend fences with Damascus. "To the best of my knowledge, the Americans will leave the country at the end of the year and at the same time they don't have problems with the Kurd-government dialogue," Ose told Kurdistan 24 on July 31. Commenting on the issue, Kadi emphasized that "Syria's Kurds have no other option, as neither Turkey nor America will uphold their rights and freedom." "Only a strong and unified Syria can protect and respect their integrity," he highlighted. The political analyst underscored that "the Kurdish issue in Syria is not a new one," adding, "It has been shoved under the carpet and nobody wanted to open Pandora's Box," he noted. "Leading up to the 'War on Syria', the jihadi threat was the result of an unfinished business that started back in 1982," Kadi recalled. "Many say that the Hafez Assad government was brutal in crushing the Sunni fundamentalist uprising in Hama. History proved that it wasn't strong enough. The other two threats were the unresolved Kurdish question and corruption." He added that "if the Kurdish issue gets resolved with good intentions on all sides, the government can then perhaps focus on stamping out corruption, which is still endemic." Kadi suggested that "the tragedy of the war brings an opportunity to at long last resolve the impending Kurdish issue once and for all" adding that "the red lines will definitely be Syria's unity and integrity."